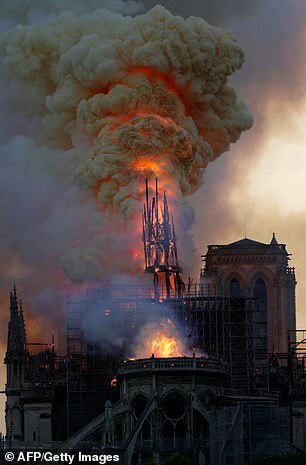 An architectural feat that led Paris’s famous Notre-Dame Cathedral to be known as ‘The Forest’ is now a major contributor in its destruction, as a fire rips through its all-wood frame. 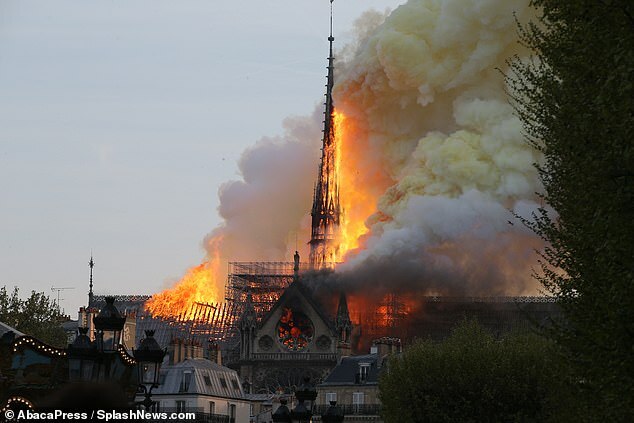 A fire broke out at the 12th century cathedral around 6 p.m. GMT (2 p.m. EDT) Monday and quickly grew to engulf the entire wooden interior; the spire collapsed not long after the blaze began, and officials say the frame will be completely destroyed. 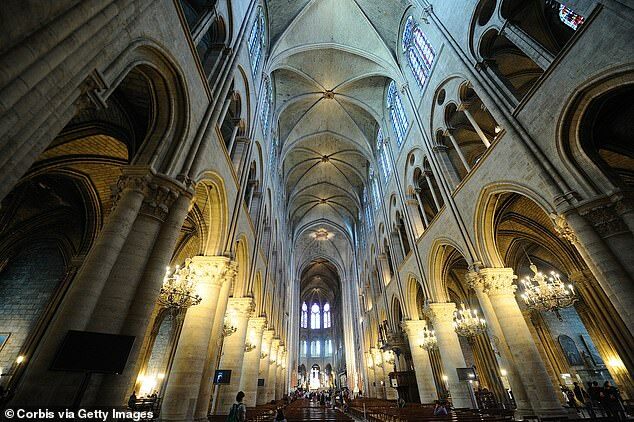 ‘Everything is burning, nothing will remain from the frame,’ Notre-Dame spokesman Andre Finot told French media, according to the Associated Press. 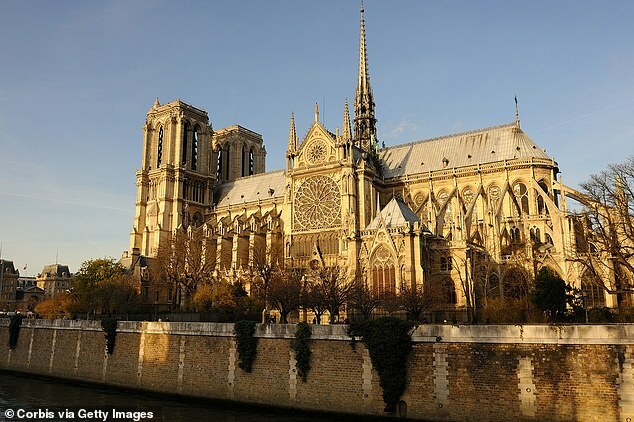 ‘It makes sense that it would be incredibly flammable,’ notes Notre-Dame contributor Daniel Christian on the website for the landmark, which has been posting updates as the fire rages on. 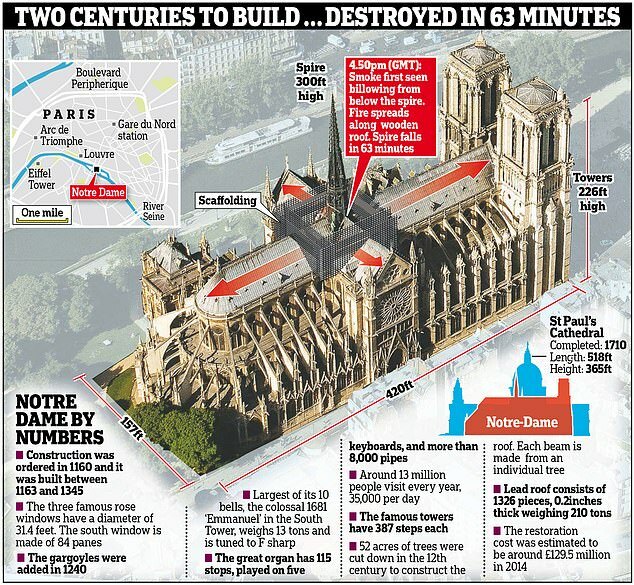 Notre-Dame’s aging wooden foundation has been a topic of concern for some time, and a $6.8 million renovation project was underway to address some of the many issues at the historic building. 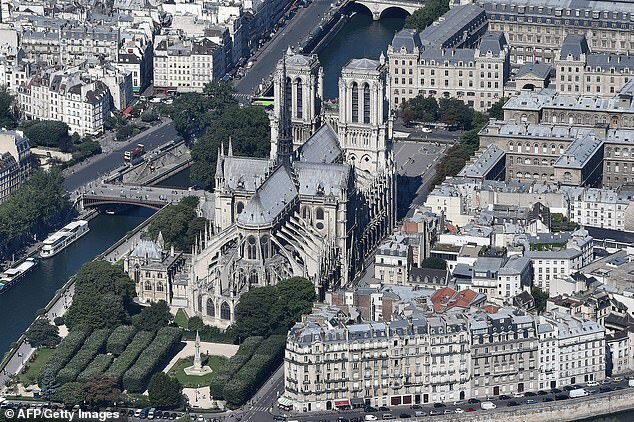 Construction on the Cathedral of Notre-Dame began around the year 1160 CE and lasted until about 1245, when the main body was completed. 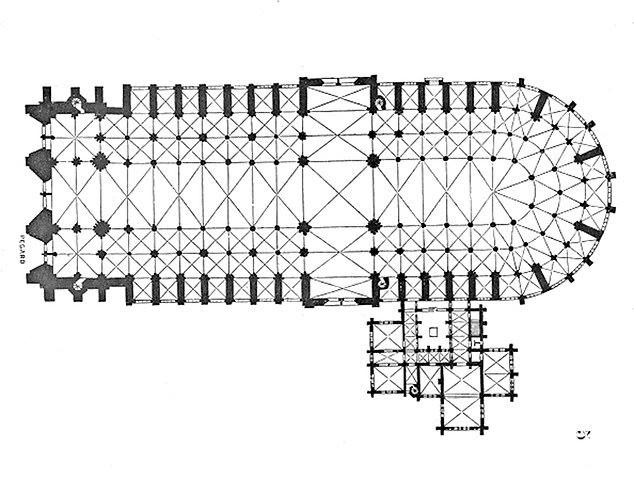 ‘Taller, longer, and wider than any Gothic church before it, Notre-Dame incorporated numerous technical and structural advances,’ Bruzelius explained. 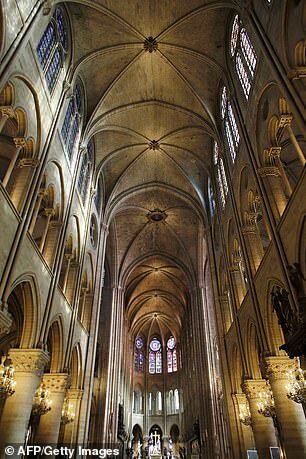 As the first started ‘in the center near the spire, where the scaffolding is,’ there have been suggestions that it may have been sparked by the renovation work. But, officials have not yet determined if this really played a part.